Microsoft are releasing more and more application services as part of the Office365 platform. Its getting harder and harder to keep pace with the development and release cycle and new products seem to be launching month on month. Just recently we have seen the release of Microsoft Stream, Microsoft Forms, Staff Hub and Microsoft Flow to name but only a few. These services are part of almost every Enterprise plan with Office 365. 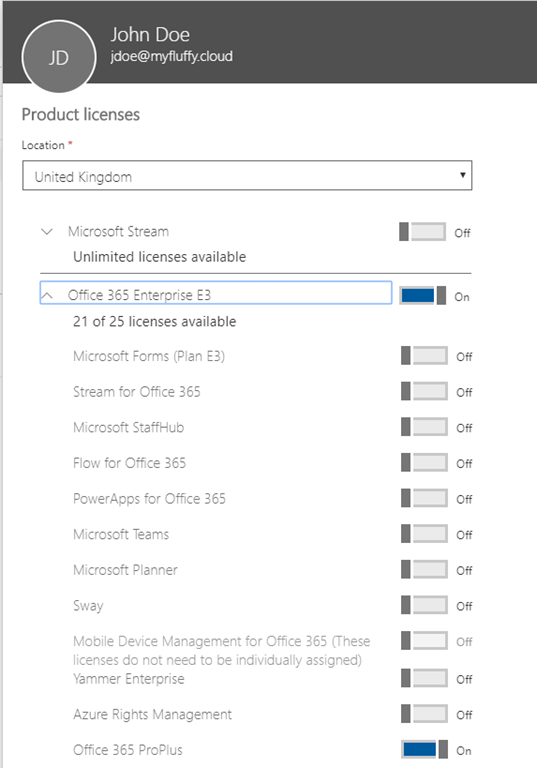 You may have assigned full E1,E3 or E5 licences to your users with a view of letting them become drunk on Office 365. However, most of you will undoubtedly have sub licenced your E plans so that users are only licenced for business approved Office 365 services. However, the default settings of Office 365 mean that a user can visit a services page such as Power BI, Microsoft Stream etc. and use their corporate credentials to sign up to these services. This is a tenant setting that will affect all users, at the moment there appears to be no way to limit this to a user or sub group. The Cloud–An Enemy to Humanity Disguised as Helpful Progress? Or Natural Evolution? Is there a way to determine the current settings of the tenant. There is no PowerShell cmdlet – Get-MsolCompanySettings – that I can use to see the settings. Is it available in the Portal somewhere? I would like to check before setting configuration in my Production tenant of course. Thanks Michel, Flow and PowerApps I didn’t test them, but the others worked ok. 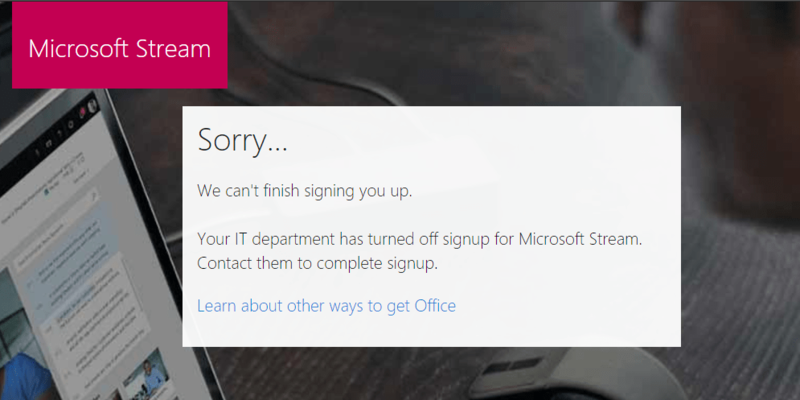 So I amend the above to say that these can be disabled by disallowing sign in via Azure AD in a similar way to this post here: https://three65.blog/2017/08/17/prevent-web-client-access-to-microsoft-teams/ replacing Teams with Flow and PowerApps services respectively.